Sometimes good train stuff happens to you when you least expect it. In the early 1980s, we traveled to the Smokies for a family vacation, staying at a friend's cabin in Townsend, Tennessee. 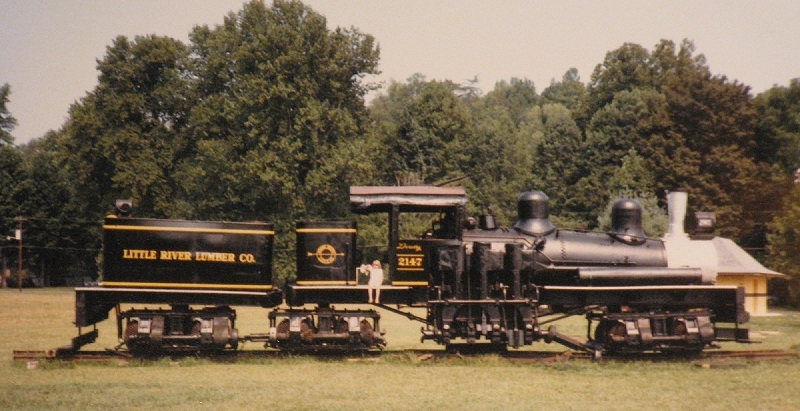 And there in a vacant lot near the road to Pigeon Forge was an unusual locomotive - a three-truck Shay built to standard gauge. Much of the poor thing's drive train was laying alongside it on the ground. I asked several people around town if someone was trying to restore or at least preserve the locomotive, but nobody I spoke to knew anything about it. A few years later, we made a similar trip, and very little had changed, although things seemed to have been moved around a little and more of the Shay's drive train was attached. A few yards away was a small caboose. In the background of the photos is an old train station waiting to be restored, but at the time, I didn't recognize it as anything but a boarded up building. 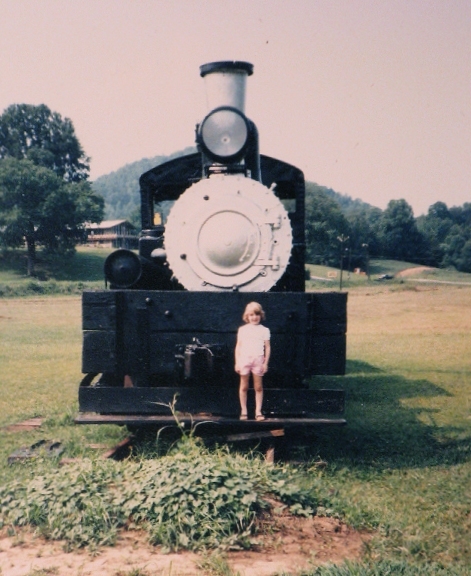 Later, while doing research on logging railroads, I started hearing about the Little River Railroad, which once served logging camps, company towns, and resorts over a good part of what is now the Smoky Mountain National Forest. As far as I could tell, the same folks who had preserved the barns and mills at Cade's Cover thought that the Little River Railroad and the tiny communities it served were a blight on the land and were trying to remove every trace that they had ever existed. "Too bad," I thought, from my home in the flatlands (Springfield, Ohio). But other urgent things were happening closer to home, and, as it turned out I didn't get back to Townsend until 2008. 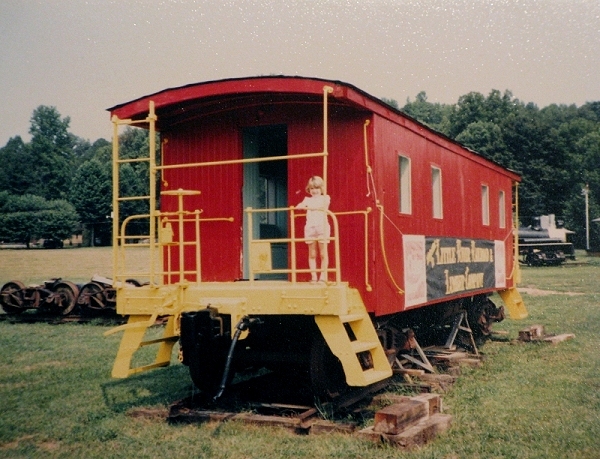 Before we went down, I spent some time researching real-world railroads in the region, and discovered that Townsend, Tennessee was now the home of a small railroad museum chronicling the rise and fall of the Little River Railroad. 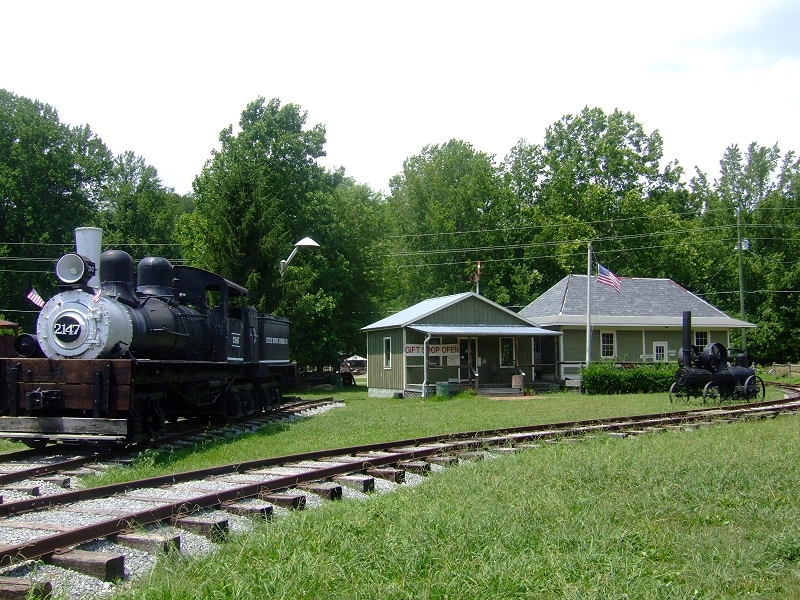 When we were finally able to visit, we noticed that the museum had moved the locomotive to a nicer location, had added a flatcar and other equipment to its collection, and had three buildings and a water tower. 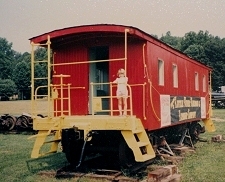 The caboose was "missing;" I found out later that it was inside one of the buildings for repair. Touring the small museum and gift shop, I learned some things about the Little River Railroad (and its sister company, the Little River Lumber Company) that would make it a very interesting prototype to model. Even if the Little River Railroad is different from the kind of railroad you plan to model, you may find some particulars inspiring. Note: Most of the information below is pieced together from notes I took on my visit to the museum, with some additional input from the museum's web site. You may read and see much more at that site: http://www.littleriverrailroad.org. Take your time and hit all the links - there's useful content and photos buried some places you wouldn't expect, including their membership page. I'll also be providing links to individual pages and photos throughout the articles here as they apply. Unfortunately what started as one brief article rapidly became several, because there is just so much to tell about this pint-sized "common carrier" that broke all the "rules," yet made excellent profits, helped inspire the creation of a national park, and disappeared as suddenly as it appeared. 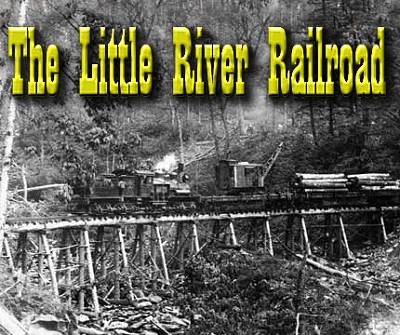 The following articles shed light on the development, unique practices, and modeling possibilities of the Little River Railroad. Little River RR, Northern Division - The pride and joy of the LRRR is restored and running in Coldwater, Michigan.